Are you looking for safaris in Lapland? From husky ride to hunting the Northern Lights, we are here to offer you most importantly one thing: pure joy. We welcome you to experience the magic of Lapland in our two destinations: Rovaniemi, known as the official hometown of Santa Claus, and Ylläs, which is a perfect getaway from the hustle and bustle of big cities. What about floating between the ice blocks under the sky full of stars, riding a snowmobile through snowy forests or meeting our furry friends for husky safari in the wilderness? Book your next adventure and get ready to amaze! Discover the secrets of Santa Claus and the reindeer on visit to Santa Claus Village by car and reindeer farm by snowmobile! Dip yourself into frozen lake under the Auroras and let your mind and body float wearing rescue suit that covers your whole body and keeps you dry. Get ready to meet the Santa Claus and his little helpers, step across the Arctic Circle, ride a snowmobile through the arctic wilderness or sit comfortably in a reindeer sleigh, lay back and enjoy the ride. Welcome to Rovaniemi! Looking for a place to spend your holiday away from the hustle and bustle of big cities? Ylläs is a small and idyllic village where you are surrounded by the most authentic nature of Lapland. Welsome to Ylläs – Wonder of 7 fells! Come solo, with a friend or a group. Hike with a guide or on your own! Lapland Classic is an unforgettable hiking trip through the beautiful Pallas-Yllästunturi National Park. It begins from the southern part of the national park and takes you 126 km north to the traditional Sami village, Hetta. During the way, you will see the nature of the fell area, and become familiar with the villages and the local culture. We have plenty of stories to tell! What is it like to work as a guide? What are the must-see-spots in our two locations, Rovaniemi and Ylläs? How to make your holiday unforgettable? Read more stories about Lapland and the Finnish way of living from our staff, guides, customers and the media. Snow, ice and Northern Lights – things that everyone know about Finland. But did you know that Lapland is a great holiday destination in summer, too? Read this post and get our best tips! Great adventures are build by great people. Experience the Safartica Spirit! 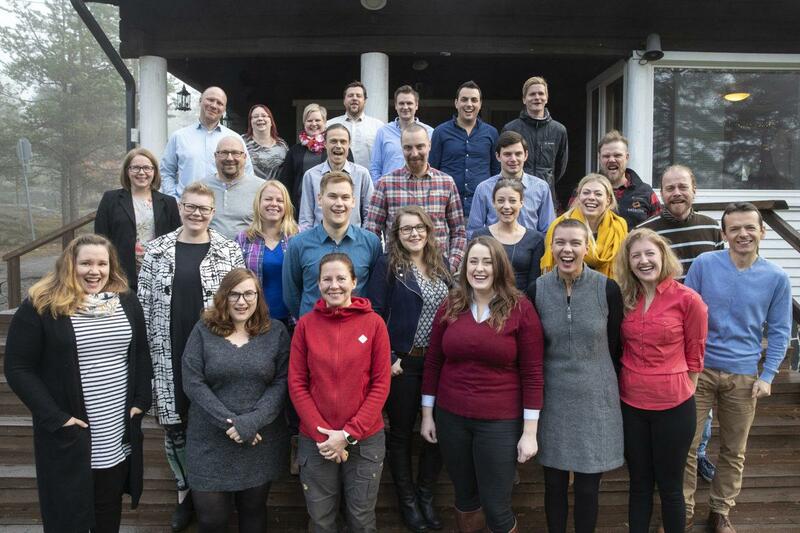 The diversity of our local and foreign individuals has one thing in common – their love for Lapland and a great passion for adventures that brought them together so that they can do what they love the most: create magical experiences for you.